Edinburgh Napier University’s BEng (Hons) in Cybersecurity and Forensics has become the first undergraduate course in the UK to be fully certified by the National Cyber Security Centre (NCSC), whose parent organisation is GCHQ. You can read the full story at Edinburgh Napier University news. The Tay Cities Deal was formally signed on Thursday 22nd November in Perth, confirming millions of Pounds of investment to the area. It is expected that the Deal will create over 6000 jobs across Tayside and Fife. The deal will include direct benefits for SICSA-member institutions, including an investment of over £26m to the University of St Andrews for transformative infrastructure works at the Eden Campus project at Guardbridge. £6 million from the Scottish Government and £5.7 million from the UK Government for the development of the Cyber Security Centre of Excellence. The “Cyber Quarter” would be a cluster of academic-commercial activity, providing a co-location space for academia and industry, expertise in applied research and access to a range of public sector support located within the Tay Cities region. The project will capitalise on the existing expertise of Abertay University in ethical hacking. £15 million from the UK Government to establish the country’s first Forensic Science Research Centre. Aims to “drive industrial partnership, invest in an Innovation Cluster Development alongside the University of Abertay’s Cyber Quarter working with SMEs and start-ups to exploit new intellectual property and to enter new markets facilitated by the Forensic Science Catapult Centre and build a world-leading vibrant culture of Innovation, Communication and Economy at the University of Dundee. You can read more about the Tay Cities Deal at The Courier. A new action plan will encourage the growth of innovative Scottish cyber security research to deliver world-leading cyber security goods and services. The Scottish Government and Scottish Enterprise will work with key partners to ensure Scotland fully exploits the economic growth opportunities of the increasing demand for cyber security goods. Scottish Enterprise will receive just over £1 million to drive growth in the cyber security industry, including £370,000 for the creation of a cluster management organisation, £500,000 for a Cyber Essentials voucher scheme for small and medium-sized third and private sector organisations and £250,000 to stimulate cyber-specific innovation. “The Cyber Resilience Economic Opportunity Action Plan sets out the key practical steps the Scottish Government and key partners will take collectively to support the growth of Scotland’s cyber security firms. It aims to encourage the development of innovative cyber security research and deliver world-leading cyber security goods and services. This year’s keynote speaker is Hugo Fiennes, CEO of Electric Imp. Hugo’s stellar career includes time at Apple where he was the hardware lead for the first four generations of the iconic iPhone. He also helped build the Nest thermostat. It was during his time at Nest that Hugo realised connected devices were going to change the world for the better, but only if they were secure, maintainable, and flexible, and so Electric Imp was born. Free to attend. Exhibitor and sponsor opportunities available. We are now accepting applications for funding for a number of SICSA programmes. These calls are open to all those working within SICSA member-institutions (14 CS Departments/Schools in Scotland). The roles both commence on 1st August 2018 for a two-year period, initially. For more information on the roles and to apply, please download the documentation below. We are pleased to announce that registration is open for DemoFest 2018, which takes place on 6th November (4-7pm) at Our Dynamic Earth, Edinburgh. SICSA DemoFest is the largest event of its kind in Scotland. Now in its 11th year, it showcases the very best of Informatics and Computing Science research from all of Scotland’s Universities. DemoFest provides a perfect opportunity for your organisation to experience first-hand, the innovative research taking place in Scottish Universities. 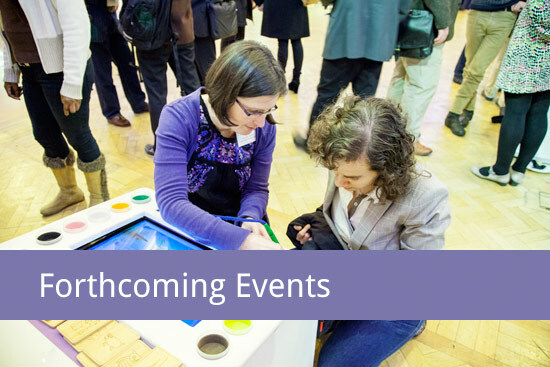 Our exhibitors will talk about their research, tell you why it’s important to your organisation, and demonstrate their technology working in real-time. The event also provides a space for you to discuss future collaborations, business opportunities, internships, employment opportunities and much more. DemoFest is organised by SICSA in partnership with ScotlandIS.